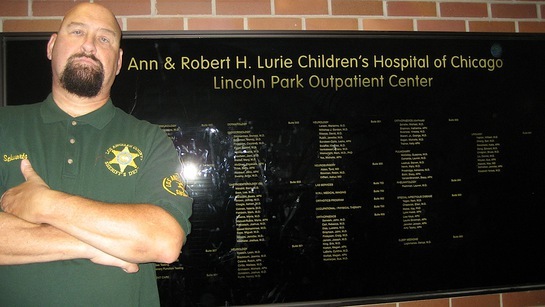 This September, Actor/Director/Producer Sheriff Scott L. Schwartz returned to Chicago, IL to show his support for Alicia’s House Food Pantry for a week of fundraising events and appearances. Scott helped raise over $72, 375,000 to benefit Alicia’s House Food Pantry. 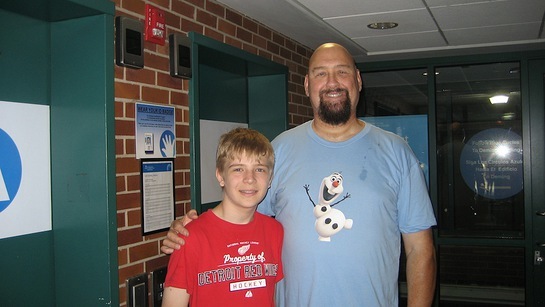 While Scott was in town he visited the children at Lutheran Memorial Hospital and Lurie Children’s Hospital. Scott is an essential part of the fundraising for Alicia’s House Food Pantry along with former Chicago Cubs pitcher Milt Pappas, and Juan Hernandez (founder). They started the week of fundraising with “Tip A Star” (celebrities serving for tips) at Beggars Pizza, Manteno Veterans Home, Chamber Dinner, and finished with the popular Alicia’s House Golf Outing Dinner and Silent Auction. 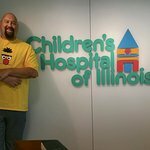 The Scott L. Schwartz Children's Foundation is making a difference in the lives of each child in need by continuing to visit hospitals worldwide, helping Alicia’s House Food Pantry, Children’s Hospitals Worldwide. For the past ten years Scott has been an essential part of the fundraising for Alicia’s House Food Pantry along with former Chicago Cubs pitcher Milt Pappas and the founder (former pro wrestler) Juan Hernandez. Scott recently accepted the CHOC Glass Slipper Guild Award (a prestigious award that others that David Beckham, Gwen Stefani among others have received). Last year Scott was invited by General Mills to be an Ambassador for Outnumber Hunger. Outnumber Hunger partners with Feeding America and Big Machine Label Group to help Feeding America secure meals on behalf of local food bank. Scott will show his support through raising awareness with his fans about Outnumber Hunger and the staggering issue of hunger in America. Alicia’s House Food Pantry is completely supported by donations from individuals, businesses, and the various fundraisers. All of the money raised will go to feed the hungry and support the pantry. Alicia’s House Food Pantry is 100% Non-profit.